It's Nintendo Download time, North America, and this week brings a potentially terrific 3DS eShop game, some retro shooting on the Wii U Virtual Console and a variety of discounts. It's a thin list, but may have something for everyone — let's get to it. 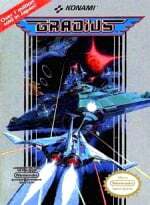 Gradius (Konami, $4.99) — This arrived on the European Wii U Virtual Console in September 2013, and finally blasts its way to North America. The Konami shooter was integral in the evolution of side-scrolling shooters, while it's simple and lacks embellishments due to its origins in 1980s arcades. Despite showing its age a little, we still gave this a recommendation in our Gradius review. Chibi-Robo! Photo Finder (Nintendo, $9.99) — Confirmed during the last Nintendo Direct broadcast in 2013, this is a camera-based object-finding game bursting with character. We were very impressed with the Japanese version and look forward to trying it out in localised form — keep an eye out for our review soon. A somewhat limited choice for North America this week. Let us know what you plan to download in the poll and comments below. Sales aside, this is quite a barren week actually, was hoping for SMB3. Might go for Chibi Robo since Park Patrol was a guilty pleasure, may still have to wait for reviews though. Nothing for me. Which is okay, because after pre-ordering Layton and Bravely Default, I don't have much free money left. I really kinda hope they delay SMB3 as long as possible......I'll miss all the complaining when it does arrive. What is this doodiepoopiedoggiepoople? They know what we want but they give us crap. Nintendo needs to replace Fils-Aime, he has no clue what customers want. I'll download Chibi-Robo but I'm gonna try the demo first. @gaby_gabito No, not as long as NoA is under bad management. OK, I didn't know there was a new Chibi-Robo in the works. Hi Thomas, any word on specifically when we can hope to see a Chibi Robo review? I'm eager to pick up the game but I usually like to read your reviews first just to make sure it's my speed. Thanks! @Alshain01 shouldn't those two be no-brainers? I don't get it! Dammit, why the hell doesn't EU get Chibi?! @gaby_gabito Yes, they should. But apparently, NoA has proven possible to have less than no brain. What the hell is going on with the NA virtual console. No SMB3 or aLttP I'm shocked. Gosh, I don't know what I ever did to Reggie to make him hate my money so much. That's your lot for this week, Europe. I guess you meant North America. So the EOIV discount continues. I let it slip but I guess it wants me to pick it up. And I will gladly take Chibi Robo. I already have SMB3 and ALttP for my Wii. Japan has the better (PC Engine) version of Gradius released on 25th December. Well I would be angry about not having ALttP, but I had no idea Photo finder was going to be $10! It is a full game right? Hm..not a real feast of software but hey not every week can be! @Daisaku36 It's a great game! I got it for $20 retail too, but that was during a sale. If you are a fan of old school dungeon crawls like Dungeon Master or Eye of the Beholder, you would probably like this. I see many people blaming Reggie for the poor line up of releases on the VC and other things like Xenoblade etc not coming to NA, but unless Nintendo runs their operation different than every other Japanese company I have dealt with at a management level, Reggie has no input into this and is nothing more than a figure head for the locals. I have no opinion on Reggie either way and don't care to have a personal relationship with him or his successor, but I do think people over estimate his input into these decisions. I really wish Nintendo would have ported Super Mario Bros 3 to a different system before this over the years. It must be really difficult. Why didn't they think to do this before? Sure hope we see it someday in America. Note, there may be a hint of sarcasm here. @XCWarrior So do I it would have been much better on the PC Engine. Like this version of Megaman. http://www.youtube.com/watch?v=4IvnRaCU7OQ Everything is better without the problems associated with the NES. I was just reading the comments and thinking that. "I stubbed my toe! Why Reggie?!" 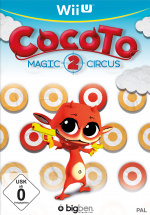 Id like to triy Chibi robo but im not in the US lol "and now we play the wating game"
@Daisaku36 me too... I thought I bought it on Boxing Day at eb games but they gave me millennium girl with cd instead so I was like: "well ok then..." But I liked it, so I'll probably get IV eventually, I was giving up on it because I thought the offer ended jan 6 but if it's coming back... I'm taking it this time. To prepare for persona Q which apparently has similar gameplay. Also Atlus in general, I love their games. Why do these releases seem to get worse and worse? NICOLE, Y? Nothing here to see for Wii U Owners, move along. Better week; PR quality-wise... (that was my complaint last week on GN). Looking forward to buying Chibi-Robo! : Photo Finder, later today! Thank you Nintendo! Glad to see Chibi Robo for only $9.99 after Dr. Luigi was $14.99. I thought $14.99 might be the new low price norm. I'm going for the Chibi-Robo, somehow it's $5 cheaper that I expected. Dammit, no Life Force for the US yet. Its probably politics, if they deferred konami's release of Gradius for their own title it would irritate Konami and they might decide not to release other VC titles. Lets face it, any week SMB3 or ALTTP is released means no sales of anything else. No SMB3? I expect nothing less from the ever incompetent NoA. @Samurairu Everyone needs to blame a scapegoat, so why not blame the guy "in charge"? @Mommar Oh man, I've been waiting for life force as well! With DL play, I get to steal my buddies power ups all over again! Also been waiting for castlevania II. Have you seen the stuff they have been putting out on the Japan VC? Really lije to know when we get some good stuff again! I'll be trying the Chibi-Robo demo out first, and if i like it, $10 doesnt sound too bad. I'm really just tired of the VC getting ignored by Nintendo in NA. Europe already has SMB3 and LttP, yet we have neither. At least one of them would be nice. I've had enough of this. Nintendo's not getting another penny from me until we get SMB3. This is the second weak weekly update. There is no reason why LttP or SMB3 couldn't have been added to the eShop! @Samurairu I'm blaming NoA as a whole. But not surprised that mainly Reggie gets attacked. Its human nature to blame the guy in charge first. I think its obvious what I'm getting. Thats it. Im getting a PS4. Week after week of drivel on U.S. eShop. See you Wii U, for Bayonetta, X, Smash or MKart. Until then i'm gonna go find some games to play that are YOUNGER THAN I AM! @webhead @DarkwingLz I get it. I think I get your point of view, because he is the guy in charge and taking responsibility is the main part of his job imo, but in a Japanese company that's most likely all he does. Act as a figure head for the locals, but doesn't likely partake in any important decisions. @Of_Folsense hilarious comment. I want those Atlus discounts for Europe!! The Wii U eShop really should have more sales like they had over X-mas. All the Ubisoft titles on sale jumped into the top 20 chart, including ACIII, Rayman Legends, ACIV, ZombiU and Splinter Cell Blacklist. Could be a way for Nintendo to use their huge pile of cash to drive some much needed software sales. I'm actually not tha6t sad that we didn't get anything today, I can catch up on some of the Wii U & 3DS stuff that I missed. WIi U Bowling here I come! @Samurairu No way that Nintendo of Europe will be more independent or have more say. He also stated that they were putting in extra effort that Japan never bothered with doing something to do with the ROM's from scratch. Most Japanese I have come across working are more like what it seems Sega is like. (i.e totally uninterested in anything outside Japan). If Nintendo didn't go and make an announcement of SMB3's 2013 release window, this would be no different from any other VC game that's available in other countries. I waited a super long time for Kirby's Dream Land 2, but didn't expect it each week because there was nothing saying that it would be released in NA other than a note on the manual for the Kirby 20th Anniversary Collection saying that it already was available. This is a different case, where Nintendo made an announcement about SMB3 coming to the eShop, and gave it an extremely vague release window. As the end of the year drew nearer, gamers expected Mario 3's release more and more, and on the final eShop update for 2013, it was still absent. Now, not only did NoA fail to keep its promise, but we're back to not having any idea of when Mario 3 will be added to the eShop. It's almost the same as before its release was announced, but now Japan and Europe have the game, and furthermore we feel like it will be added on the next weekly update. Chibi Robo seems intriguing. I will probably get that. Wow, another great week for Wii U owners. Nintendo does understand the logic involved - we need games for the system we purchased? Are VC games the only Konami contribution to Wii U? What a shame. @DarkwingLz Making even one announcement is making a big deal out of it when it's only a Virtual Console game. They may not have made as big a deal of it as other countries, but they got us hyped for it. @allav866 Kawaii_Neko e-mailed Nintendo and recieved this reply. Thank you for your email. I'm glad you wrote in with your questions. I see you wrote about the release of Super Mario Bros. 3 for Wii U recently. I wanted to let you know, this title still hasn't been given a release date yet. When it has, our website's Game Guide (http://www.nintendo.com/games/guide) will be the best place to find it. Remember, any posted release dates are estimates and subject to change. I also wanted to let you know, at this time, we have not announced Super Mario Bros. 3 on Nintendo 3DS. More importantly, we do not have any information that tells us this game will or won't be announced on Nintendo 3DS, but I will pass along your comments to the departments which make those decisions. I already have all the discounted 3DS stuff, so I'll upgrade Gradius. I missed out on Etrian Odyssey IV when it was discounted last time, so I'll probably get that. And still no Pokebank... Really it seems Nintendo needs a really urgent "how to do business online" course, maybe with Valve or Sony. @DarkwingLz Fixed my original post. Says "made an announcement" instead of "made a big deal." Well, I guess I ain't getting SMB3 until summer, because heaven forbid we keep up with the rest of the world. @Bass_X0 I'm tired. Is there any silver lining to this email I'm not seeing? Cos all I see is, "We never said we were gonna release this game! We're not obligated to release things within a release timeframe we were given in a Direct video!" @Bass_X0: If that email response ain't a crock of doody, I don't know what is! They said it would be on the Wii U and 3DS eShops before the end of 2013 in a Nintendo Direct, and both are listed as TBA in each eShop! So, I wonder if you were to send them a screen shot and call them out on their crap - they'd probably say you were a hacker and ban your consoles from their services! This is really getting pathetic in North America. First just laziness, and now outright LYING? Talk about a hit below the belt! No, sorry. No real silver lining. Just taking away your false hope of expecting it each and every week and being continually disappointed. Not sure about Chibi-Robo; will wait for the reviews. And at this point I would REALLY like an official Nintendo word about what the hell is going on with the Wii U virtual console. Will wait for the review of Chibi Robo before downloading, if it ends up not being something good, I'll just download NES Remix. @Karakato Why wait for reviews? Just get the demo! I don't have a 3DS yet so nothing for me this week. Although i plan on getting a 2DS later this year. the chibi robo game and soul hackers for me. I'm gettin Chibi wit it. @Kmno If they don't release Pokemon Bank, everyone complains. If they do release Pokemon Bank, everyone complains. What the doodiepoopiedoggiepoopie? I declare an explanation for no SMB3!! WHY?? There is NO EXCUSE for not releasing a game that has been remastered and rereleased more than almost ANY OTHER Nintendo title!! Just give us the game, if Japan got it over a year ago with no week's notice, then we should at least have the game after over months after the announcement! For me, that was the most exciting thing about that Nintendo Direct, and it still hasn't come. @Bass_X0 What are you talking about? Who is this "everyone?" I'm pretty sure that nobody would complain about the long anticipated wait to finally collect them all in X and Y after three months!! @Bass_X0 Ok ket me rephrase that so you and others who say the same thing understand: release the transfer app so I can transfer directly my pokemon from older versions to X&Y!! Oh what's that? You say I need the bank along with the transfer app to do that? No way, well then I'll rephrase again so everyone can understand, RELEASE THE BANK! There I hope it can get through the head of all apologists. Pokebank finally showed up as a TBD section in the NA 3DS eShop this week, so it's at least some hope it's going to appear sooner rather than later. With the Flipnote Studio video mysteriously disappearing, that's probably being written-off for NA release. Pathetic. Other companies care more about VC than Nintendo does. @gaby_gabito That's what I thought. Iwata promised us that SMB3 would be out last year... sigh. I was also REALLY hoping for A Link to the Past as it is already released in Europe. Gabrielle's Ghostly Groove didn't drop its price in NA? thos week sucksl no pokemon bank! no smb3!! no 3d after burner 2 !!! No. Its already been released in Japan and Europe. There are no technical problems with releasing it. Nintendo are just choosing to delay it until some time later. As Dolan Duk would say: "Nintendo plz"
OK .... someone please give me an update on Grinsia 3DS.??? I am waiting for this title I only want a word or two about a future release date ...COMEON, gang throw me a hint...PLEASE??????? Wasnt there supposed to be a photo finder demo? I thought X2 would be the start of delivering great 1st party games to the Wii U's VC. Yes.The demo is there now..I am downloading it as I post this message. 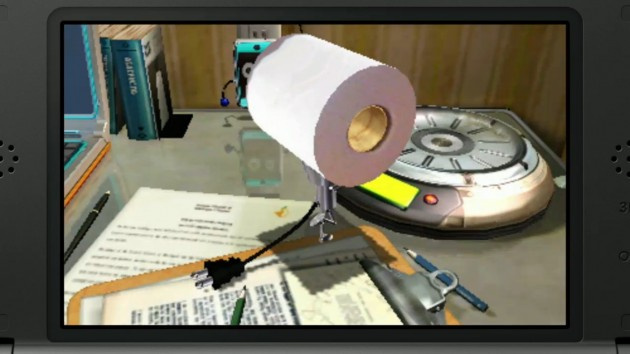 Chibi-Robo should be on the store front. Select the game and there should be "Download Demo" Icon below the game's "title information." I want SMB3 as much as the next guy, but ya know, it's not like I haven't played the game a dozen times before. And it's still available to play on my Wii. Not saying I'm pleased with the piss-poor VC selection since the service's launch, because I'm not. It's just not that big of deal, to me anyways. I hope no one buys a single VC game until another classic is released. It would be nice to vote with our wallets and proclaim in one, loud voice "We thoroughly reject your bull". @Discipledoctor ok I just spit out my beer, thanks..... Nicole, Y? I thought we were going to get a "proper" update after the 2 week drought? What a joke. There is no rhyme or reason for this. 3 weeks of garbage. EU now has 4 NES games(Blaster Master, Life Force, SMB3, and Mario Bros.) on the 3DS VC that we don't. This week they give us Chibi-freakin'-Robo. Well whoopdie f'n do! More shovelware if you ask me! @Joygame51 Waiting for that as well! Love old school RPGs and yes I know I can just download it on my phone....but I don't play games on my phone. Everyone should buy Chibi Robo. Show some support for localizing it. @allav866: I'm with you all the way on SMB3.There is no reason for this. Why promise something in a Nintendo Direct and then flat out deny it months later? I'll definitely be giving the Chibi Robo demo a whirl. It looks like it could actually be fun as long as it has that classic Nintendo charm. @Gerbwmu Ha! Good point, though I do complain about it weekly. For me it has nothing to do with the game itself. I know I can fire up SMB3 on my actual NES or in the Wii U's Wii mode. The delayed release of this golden oldie gets at me in a trust/consumer confidence way, a conflicting emotion because I love Nintendo products so much. The release itself, a fairly standard VC port already available in most territories, has been listed on the official eShop page for a long time now. At Nintendo.com it's been a listing for about half a year. It was even mentioned in a Nintendo Direct as coming in 2013. It's frustrating because I want to believe Nintendo is capable of making good on its word and releasing what should be an easy release. At this point, without an explanation on Nintendo's end it's hard not to feel slighted. but a company delaying the release of its own game while showing it can put it out in other countries just seems a little weird. @GloryQuestor It already was on the eShop before. It was just always under the "Pokemon X and Y" section. However, they did finally add it to the "Future Releases" section this week, and the first spot at that. I assume this means it will come really soon. Also noticed that the trailer for Yoshi's New Island was added to the Future Releases section. Willing to bet it will come in March. Glad to see Pokemon Bank on the first spot of the "Future Releases" section. Oh, and Super Little Acorns 3D Turbo is on sale for $1.99 (reg $7.99)! $6 off is a killer deal for that game. Booo, no Super Mario Bros 3? So much for 2013. Where's my $1.00 deal for being a previous Wii owner? Obviously SMB3 could be played on Wii. That's not the point. Wii U -is- where I want to play the game. Save states, for one thing, but also it doesn't require booting into Wii Mode and dealing with the Wiimote's batteries. Weren't those Atlus games just on sale until the 6th? Why would they take them off sale for a week or so, just to put them back up on sale for a week? I wonder if you guys are getting the chibi-robo puzzle then. I thought that would be japan exclusive for a while. What a sad update. ;/ Chibi-what? It's really a shame that the Atlus discounts never seem to reach Europe. Should mention that the superior TG16/PC Engine version of Gradius was just released in Japan. (So it is not worth bothering with the poor quality NES version). Chibi-Robo! Photo Finder looks like junk. (NES Mario Bros looks better and that is really saying something. Or 3D Classics Urban Champion). Chibi Robo!!!!!! I loved that on Gamecube and Park Patrol on DS. When is it coming to EU?